The idea for the free clinic came in May 2009 after a discussion Dr. Martyn had with Amanda Larson, president of The Gorman Foundation, about volunteering. Larson was about to leave for a volunteer expedition abroad. Martyn, an instrumental force in creating a medical clinic in Sri Lanka after the tsunami of 2004, mentioned she would be willing to volunteer at a free clinic in the Oneida area if one existed. Larson enthusiastically offered to join forces with Martyn to create one. "I wanted to find a way in which I could ‘give back’ and volunteer my services to help the local community. The clinic is a great opportunity to bring my dream to fruition," said Martyn. Larson and Martyn began researching the logistics of how to create a clinic for the uninsured and underinsured shortly after their initial conversation. They made site visits to free health facilities within Central New York and joined the National Association of Free Health Clinics, an organization that provides guidance to free clinic startups. 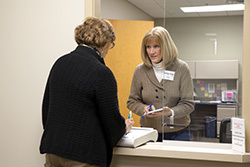 The Mary Rose Clinic has been able to provide over 5,000 free patient visits since December of 2010. 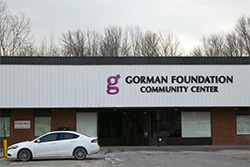 To find out more about the Gorman Foundation, please check out their website at www.GormanFoundation.org.